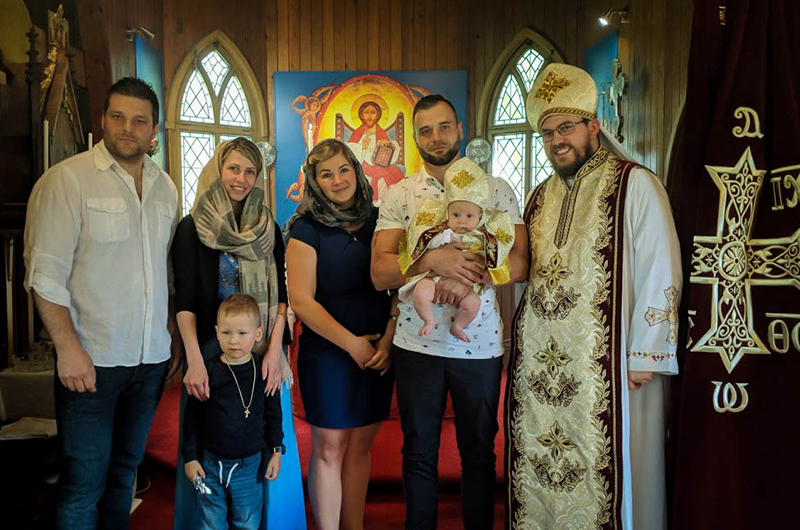 On 3 June, a beautiful, sunny, late-spring Sunday in Norfolk, Ethan, the infant son of Vjaceslavs & Luidmyla Cvetkovs, was baptised and chrismated at St Felix’s British Orthodox Church at Babingley, with Metropolitan Seraphim and Father James officiating after the Divine Liturgy, at which his Orthodox family and godparents were also present. The baptismal waters used included waters from the Virgin’s Life-Giving Spring (Zoödachos Pege) in Constantinople, a shrine first founded at the end of the fifth century, destroyed by the Ottomans but since restored; as well as blessed Jordan water. In his homily, Abba Seraphim preached on Luke XI: 1-13, highlighting aspects of the Lord’s prayer, especially the enigmatic word epiousios, which is found only in the Lord’s Prayer as reported in the New Testament passages. It is generally translated as ‘daily’ but St. Jerome and other church fathers use the words ‘supersubstantial’ or ‘superessential’ as referring directly to the Eucharist: the Bread of Life, the Body of Christ, the “medicine of immortality,” without which we have no life within us. Its heavenly meaning is evident: “this day” which we anticipate each time we celebrate the Holy Eucharist and is already the foretaste of the kingdom to come. 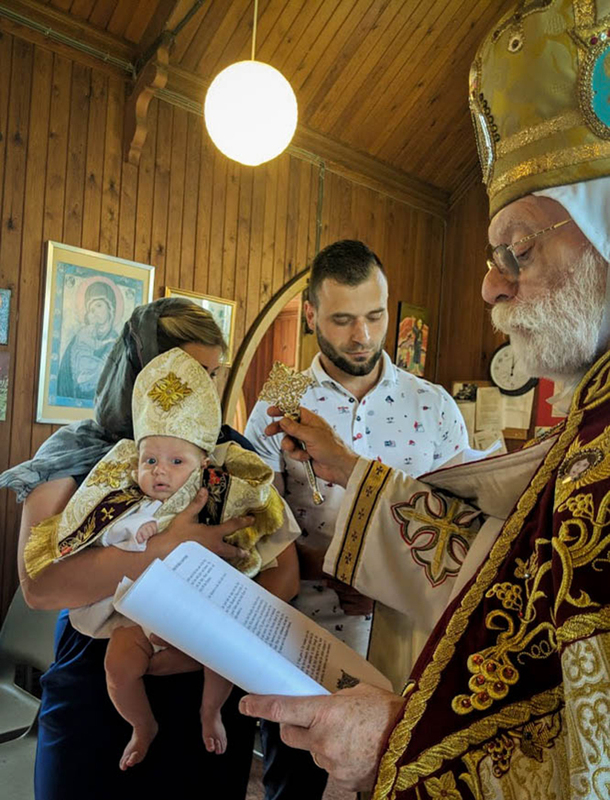 How appropriate, therefore, that little Ethan, who today passed through the laver of regeneration and as a king and priest unto God was crowned with glory and honour, received his first communion.